The Eastern Cape coastline is home to four major lighthouses. There is also a national tour of the South African lighthouses, which comprises eight different buildings. 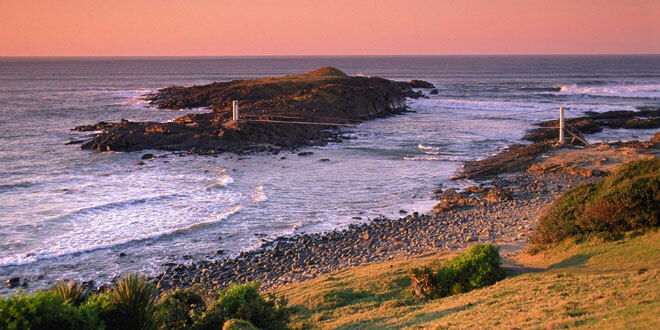 The Great Fish Point lighthouse on the Sunshine Coast – just 25 kilometres from the surfing hotspot of Port Alfred. Hoodpoint in East London – this is situated close to a number of excellent swimming and surfing beaches. Cape St Francis lighthouse – set in the picturesque little town of Cape St Francis, right on the rocks of a small beach, this oozes charm. Cape Recife lighthouse in the friendly city of Port Elizabeth. All of these Lighthouses of the Eastern Cape are open to visitors between 10h00 and 15h00 on weekdays. I have never been to the Eastern Cape, but when I do go, I will make sure I visit the lighthouses. I have been to a few of them in Cape Town, they are fascinating and have so much history.